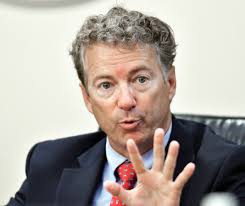 EconomicPolicyJournal.com: Rand Paul: Cut Taxes For All! Rand Paul: Cut Taxes For All! Heroic commentary from Senator Rand Paul. I’m also certainly willing to compromise. I realize not everyone in my caucus wants a big, bold cut like I do. If all we are talking about is how much to cut taxes, I can assure you, they will have my vote, happily.